I am a-l-w-a-y-s plotting and scheming new ideas! This particular idea is for Christmas presents. If it all goes well, there may be a few shop appearances too. Do you see that pile of fabric up there? 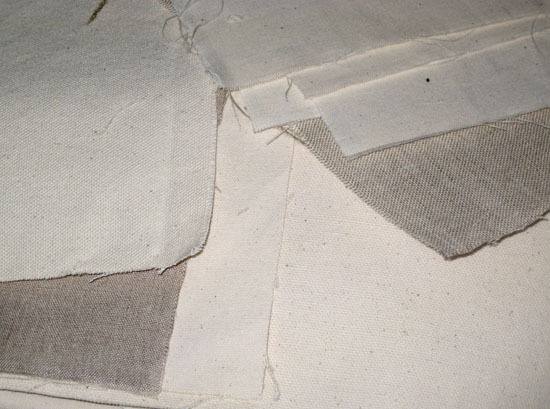 Well, those are some samples from a few different fabric suppliers of various cottons/hemp/linen. I have a plan for bigger pieces of a few of them. A plan that involves screen printing. A plan that maybe involves a little bit of leather. Maybe I just gave the game away, maybe not. But, for now, that is all I will say. Don't hold your breath waiting for me to reveal. We know that sometimes I take a little while to follow through on my plans! I don't want you going blue in the face and keeling over on me! !